Tue., Oct. 31, 2017, 12:52 p.m. The Food and Drug Administration on Tuesday granted accelerated approval to AstraZeneca PLC’s Calquence for people with mantle cell lymphoma after chemotherapy or other treatments fail. The British drugmaker is now conducting further testing required by the FDA to confirm the drug’s benefits and risks. Mantle cell lymphoma is a blood cancer that usually strikes middle-aged people and the elderly. By the time it’s diagnosed, it usually has spread to the lymph nodes, bone marrow and other organs, according to the FDA. About 4,200 Americans are diagnosed with the cancer each year. Median survival is about five to seven years, according to the Leukemia and Lymphoma Society. But treatment has been improving in recent years with the addition of targeted drugs and stem cell therapy to chemotherapy. “Mantle cell lymphoma is a particularly aggressive cancer,” Dr. Richard Pazdur, director of the FDA’s oncology center of excellence, said in a statement. 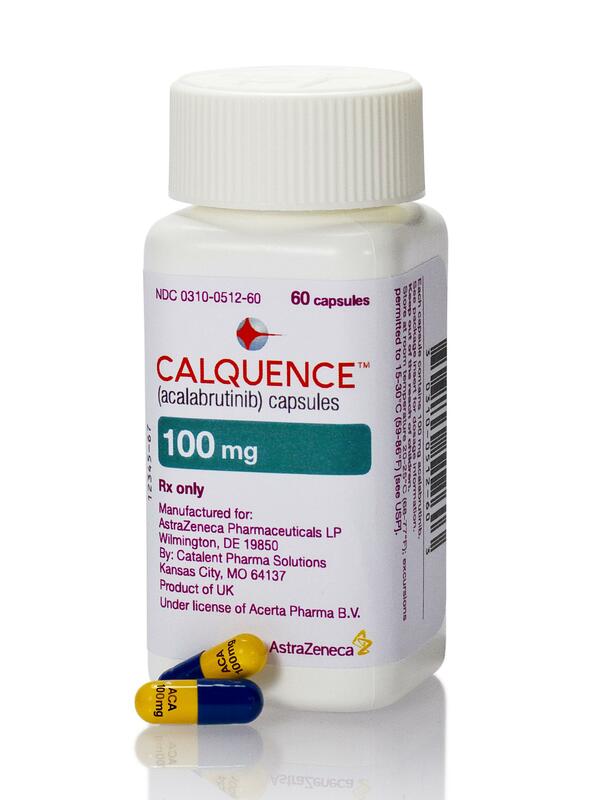 Calquence, also known as acalabrutinib, works by blocking an enzyme needed by the cancer to multiply and spread. Patients take two capsules a day. The drug will cost about $14,260 per month without insurance, according to AstraZeneca. The drugmaker said it will offer patients financial assistance, including copayment cards that it said will cover out-of-pocket costs for some patients. The FDA based its approval on a company-sponsored study of 124 patients who had received at least one prior treatment. After taking Calquence, 40 percent went into remission and another 41 percent saw their tumors shrink, the agency said. The study did not include a comparison group, as is standard in bigger studies. Serious side effects included bleeding, infections and irregular heartbeat, and some study participants developed a second type of cancer. Published: Oct. 31, 2017, 12:52 p.m.